The front desk is located in front of the main entrance. The front desk is located in front of the main entrance and is open from 7:30 a.m. to 11:00 p.m.
Check-in & out and café payments are handled here. Information about events, guided tours and transportation is available as well. 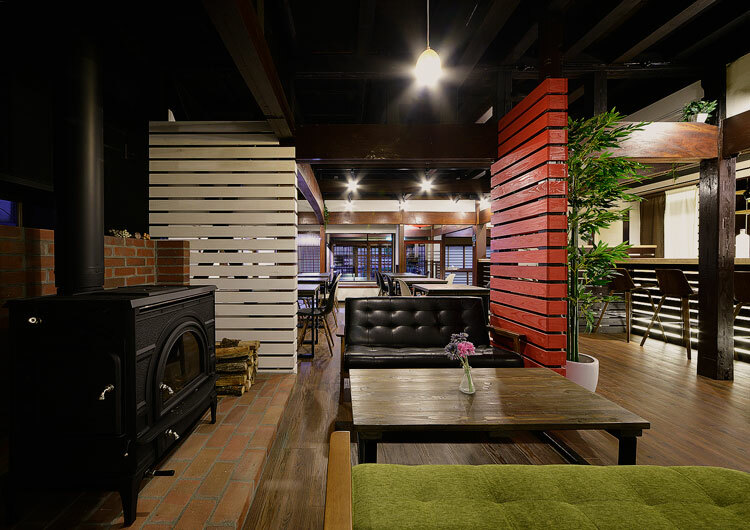 You can use and relax in our lounge on the 1st floor from 7:30 am to 11:00 pm. You can enjoy movies either on the 55 inch screen that sits on the TV stand or on a big screen using a projector hanging on the ceiling. Please relax and mingle with other people here. 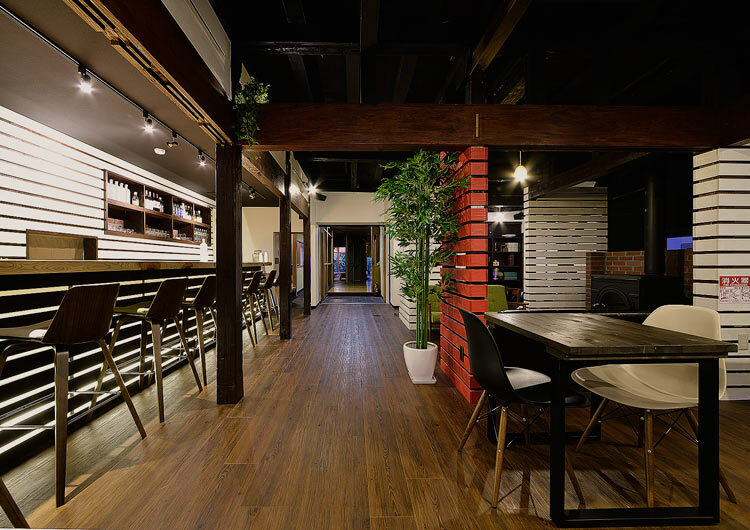 The café is located by the front entrance with 23 seats in the main area and 8 seats at a bar counter. The cafe is open from 7:30 a.m. to 5:00 p.m.
More food, beverage, alcoholic beverages and small plates will be served from 5:00 p.m. to 11:00 p.m.
We will keep a fire lit in our wood stove in order to keep the 1F warm from the end of November to the beginning of April. Please be cautious around the stove. 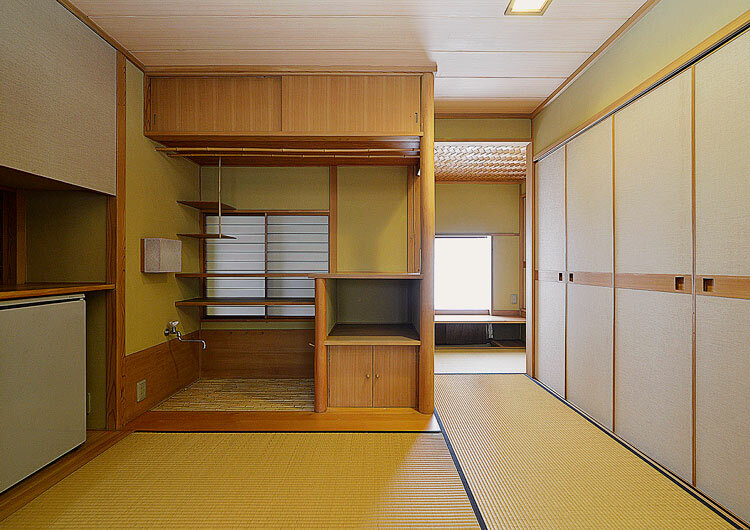 There are three guest rooms on the 1F, Room 101 is for up to four people, Room 102 is for up to three people and Room 103 is for up to two people. 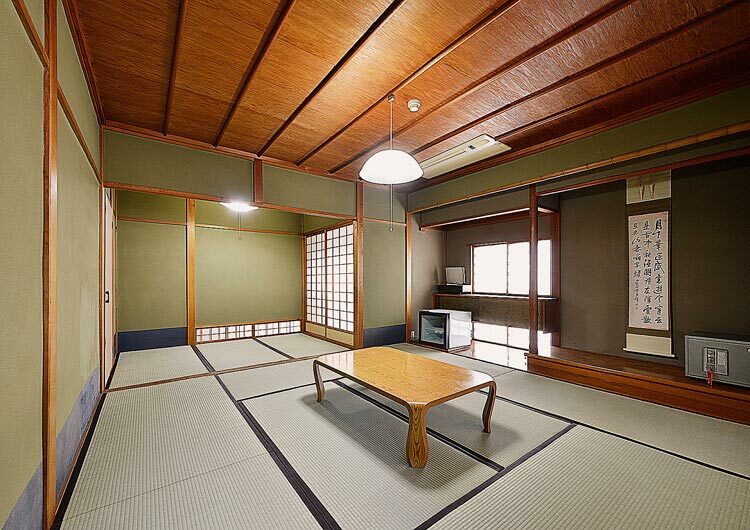 Enjoy a tea ceremony in our traditional tea ceremony room. 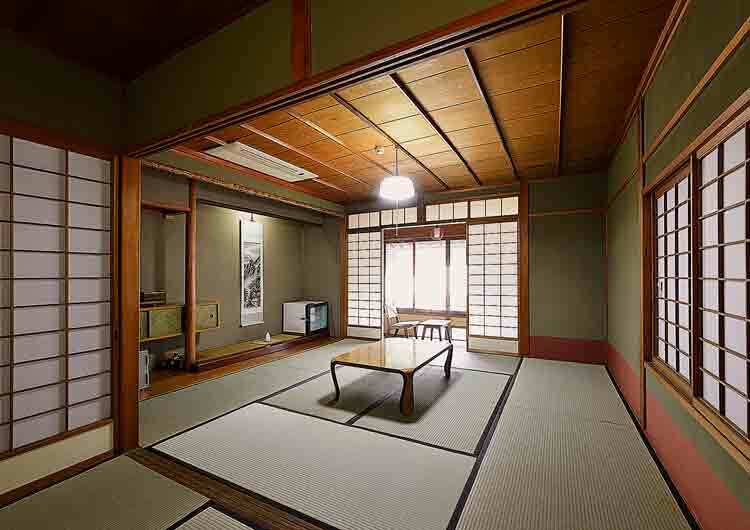 Guests from abroad will appreciate this special unique Japanese tradition. 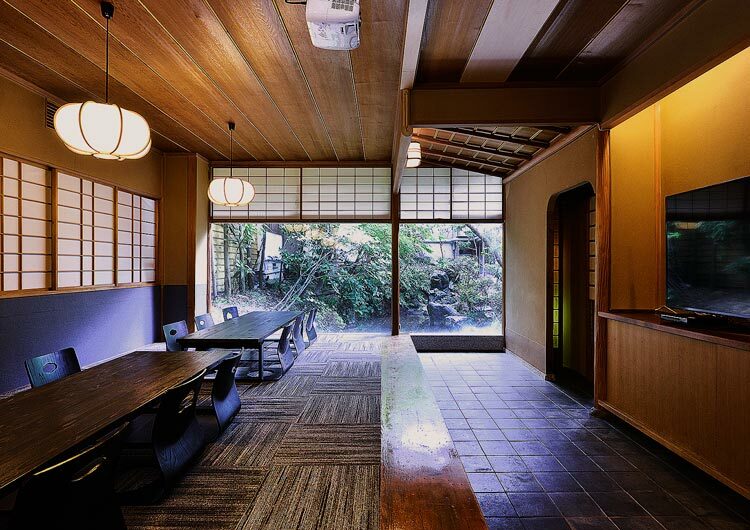 Tea ceremony club lodging is also welcome. A multi-purpose room is located on the 2F where English classes, arts and crafts classes, meetings and other events are held. Not only guests but also non-guests can use this room. Please feel free to contact us for a reservation. 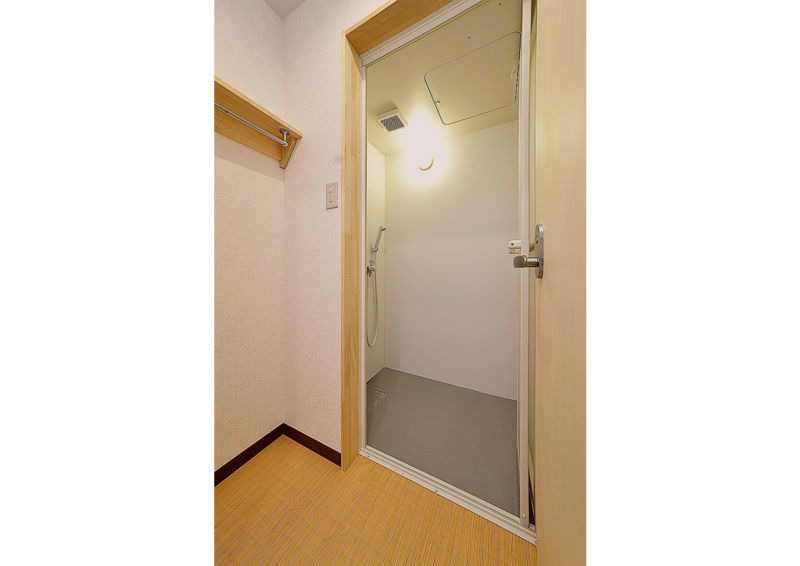 There are four shower booths on the 2F, shared by both men and women, are available 24 hours. Free shampoo and conditioner are inside the booth. Should you need to rent a towel or bath towel, please ask at the front desk. 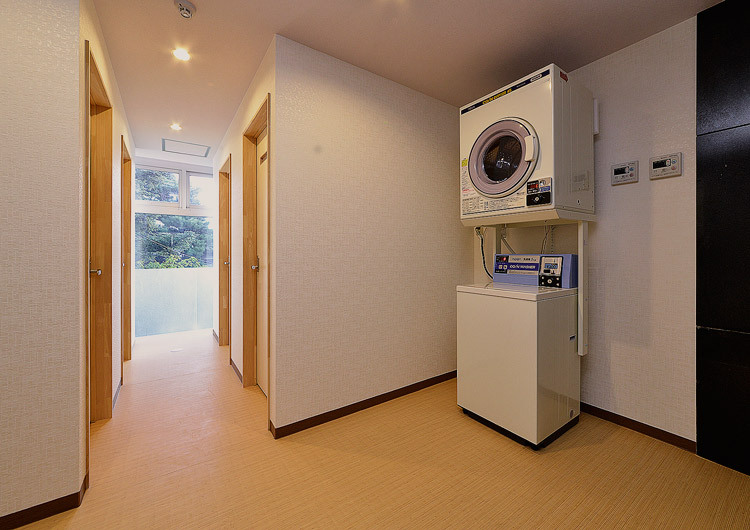 There are two sets of washing machines and dryers at a coin laundry area on the 2F, available for 24 hours. You can wash cloths up to 5 kg at a time. 300 yen is needed for about 30 minutes washing and 100 yen is needed for 30 minutes of drying. The dryer sits on top of the washing machine. Detergent packs (100 yen each) are available at the front desk. 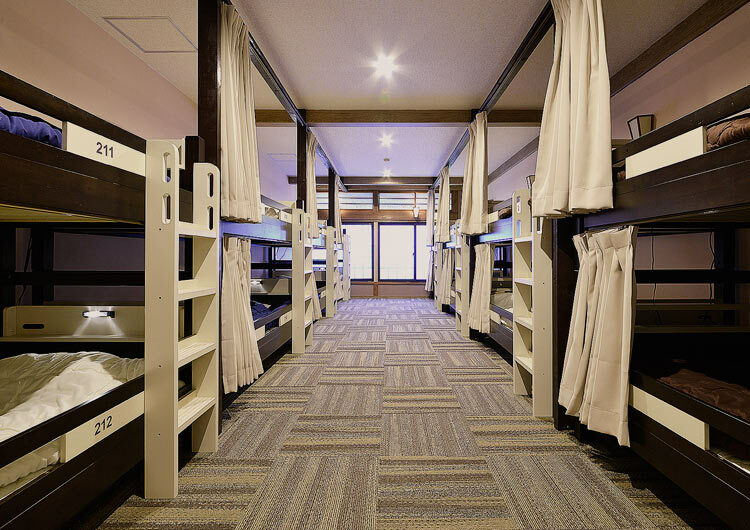 A dormitory room is located on the 2F. 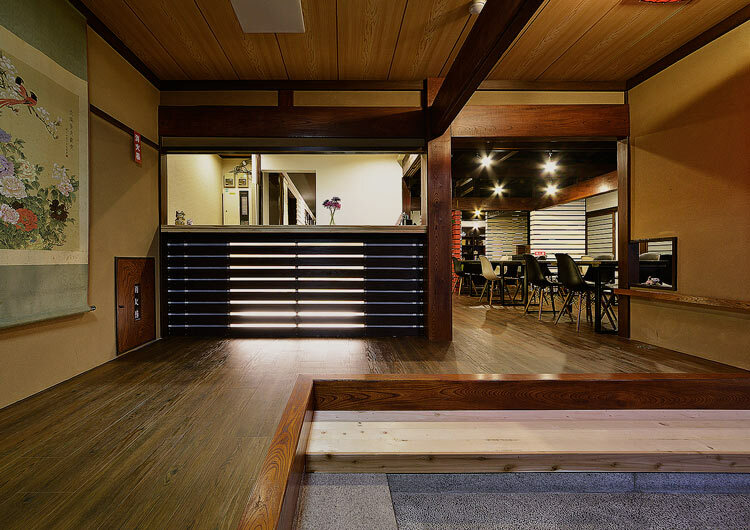 There are eight bunk beds for a total accomodation of 16 guests. When you arrive at the hostel, you will receive a 4 digit code at the front desk. To enter the dormitory, you will enter the code followed by the asterisk (*) symbol. Lights will be turned off at 22:00. You can use a personal night light at the head of the bed. There are three guest rooms on the 2F, Room 201 and Room 202 are for up to three people and Room 203 is for up to six people. There are four guest rooms on the 3F, Room 301 and Room 302 are up to four people, Room 303 is for up to two people and Room 304 is for up to three people. There are several exercise machines and a punching bag in the gym which is in the basement of the 1F in the annex building. 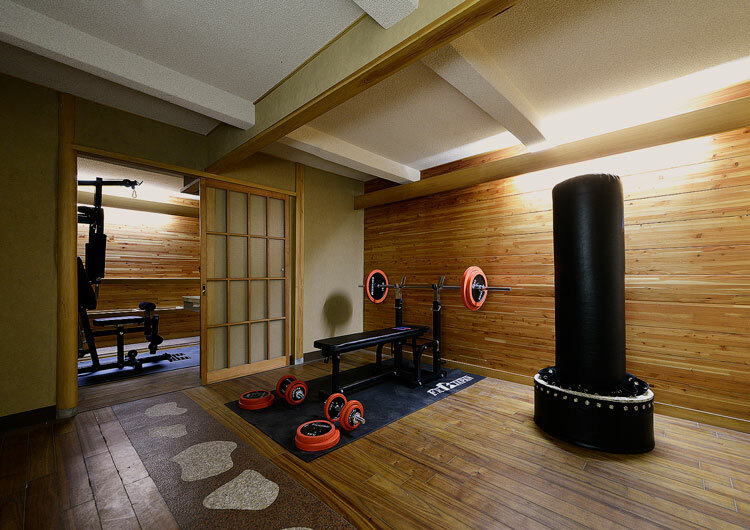 This mini gym is open from 7:30 a.m. to 11:00 p.m. and guests may use it free of charge.